I love to study history, which makes me all the more grateful to live in the times we do. No epoch in human history has been without its share of troubles of various kinds – and ours is no exception – but I feel profoundly blessed by the advent and continual development of modern medicine. Why? Because occasionally wonder what my likelihood of survival to adulthood would be in its absence. No one ever accused my immune system of being exceptionally effective or successful. (My roommate in college famously declared that I was cursed with “bad protoplasm”.) It was worse during in my childhood. I’ll spare you the laundry list of various acute bouts and minor chronic conditions – suffice it to say, I spent more time getting to know my pediatricians, their nurses, and office staff than I would have preferred. And a scarcely remembered 8-day hospital stay when I was 4-year-old has left little impression on me. Only later reflection makes me wonder how utterly close I came to a long-term condition that may have been much worse. A quick aside: Trust me when I say I’m not complaining. Compared to many who have dealt with severe medical problems, I am remarkably – in many cases, aye, doubly – blessed. Yet I do have a little added sensitivity to such people. It was during my teen years when I went to a new allergist that my family and I got a clearer handle on what some of the underlying causes were and how to treat them more effectively. Needless to say, the intervention of modern medicine has made a significant difference in my life. Exactly how much of a difference is difficult to say. Modern medicine is one of the fruits of Western Civilization, as well as one of God’s common graces. As you know, I’m the recipient of a minor medical miracle myself. In late 2005, I went to a Dr. with a number of complaints. One of the things he suggested was having an echo cardiogram. As it turns out, we discovered a significantly sized aneurysm to my ascending aorta. 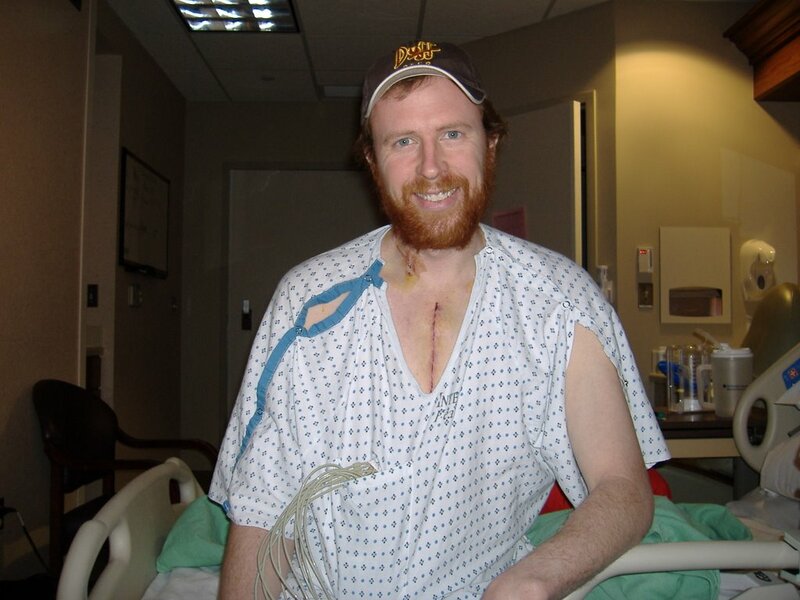 Less than 6 months later, I was having open heart surgery. Even the surgery itself included a procedure (the Ross procecdure) that was first performed in the U.S in 1986! I don’t have a crystal ball, but given the size of the aneurysm, there was a good chance I’d suffer the same fate as John Ritter: the aneurysm would rupture unexpectedly, and that would be it. The more open & free a health care system, the more innovation, and the quicker the costs of those innovations can come down. Echo cardiograms are now reasonably inexpensive, and there’s a reason behind that. Thanks, Todd. Yours is a remarkable case, and a further call for thankfulness. And I can only agree on your health care policy recommendations. Having seen the picture, your adoring fans are going to start asking when the beard is coming back. While I’m here, I’d like to give a small shout-out to Todd’s World-Famous Chili. Another question for inquiring minds: Will he go commercial with the recipe?